Clearly the Broodlord wasn't quite as angry as Angry, as he was kind enough to drop a pair of [Boots of Transcendence] (Animosity), a pair of [Netherwind Boots] (Neshnu), and [Bracers of Arcane Accuracy] (Stingray). 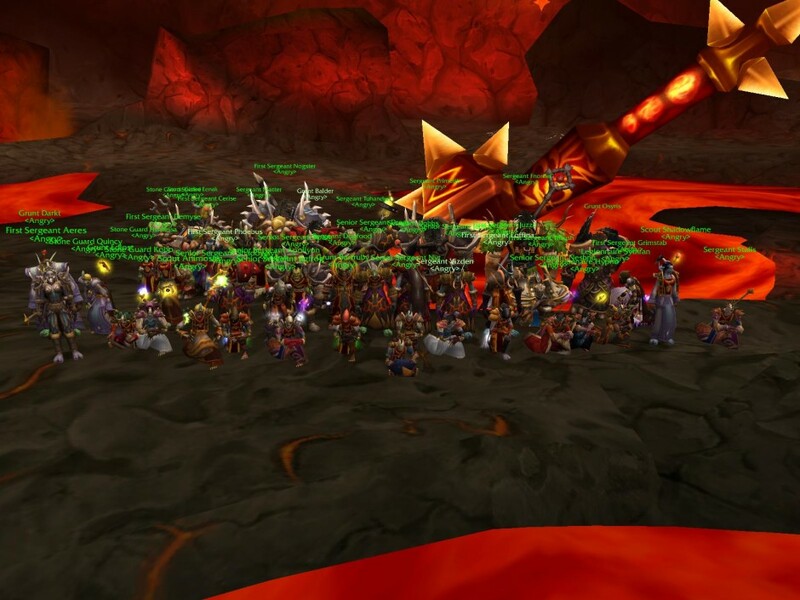 In the end it came down to the Angry and Backrage crew (along with some pickups at the end) simply outlasting other horde raids, and more importantly, an alliance raid (consisting of Saga, Warpath, and others)…by 5:30AM all other horde were gone and there weren't enough alliance left to stop us from finally getting the kill. 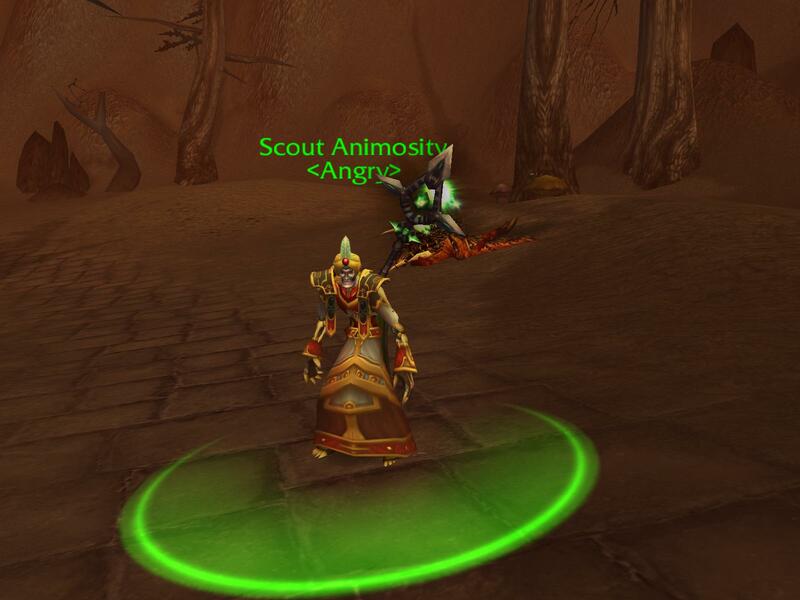 Angry's loot was [The Eye of Shadow] for Demyse, allowing him to complete his epic priest quest staff. 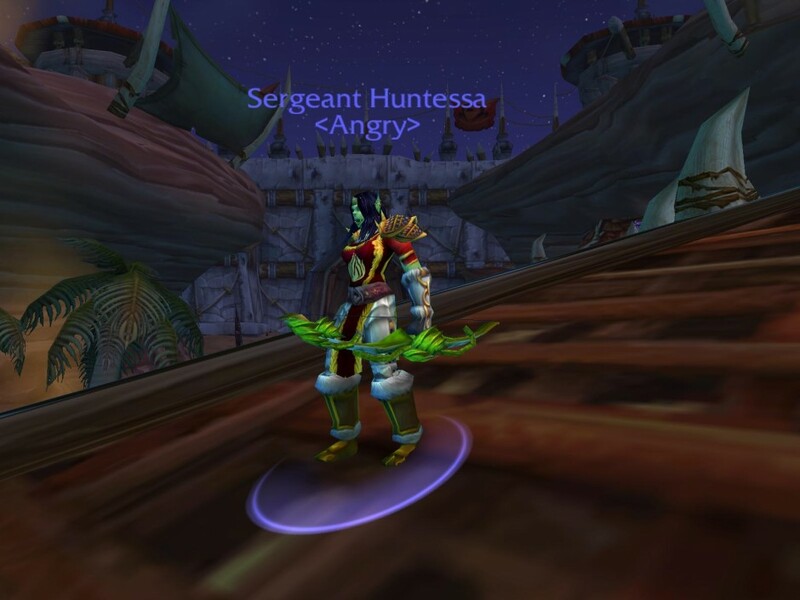 An [Onslaught Girdle] went to Nogster, [Bloodfang Pants] to Apollyon, [Dragonstalkers Legguards (not found on Wowhead)] to Huntessa, and [Essence of the Pure Flame] to Splug. 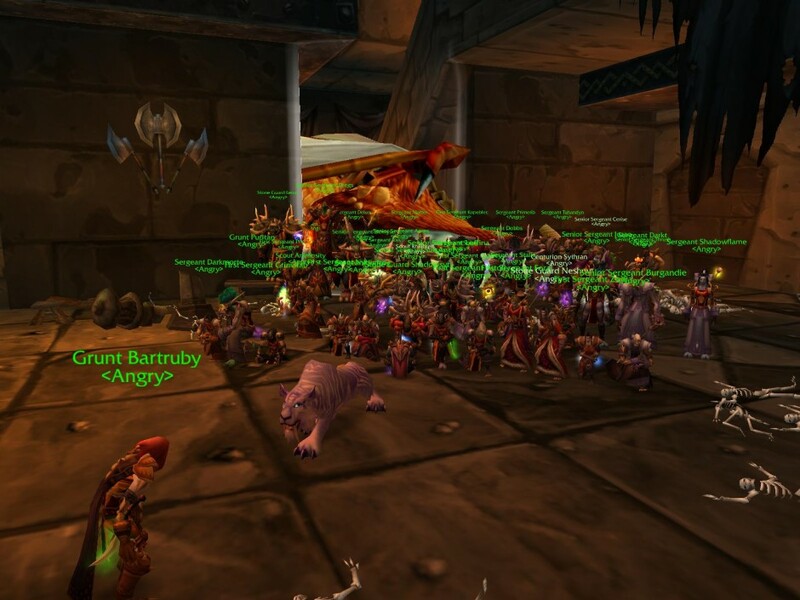 Grats and thanks to everyone in the guild for making it possible. 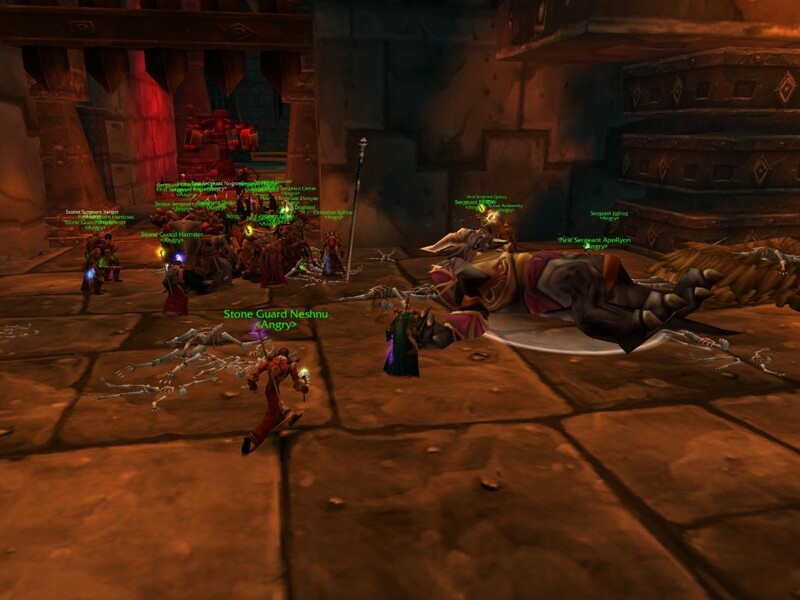 2013 update: Sythran's video of our adventures in Molten Core up until Ragnaros is here. Jigfrog received a [Mantle of the Blackwing Cabal] and [Netherwind Bindings], while Fearbadger received [Nemesis Bracers]. GG to all. We've created a new recruiting forum for the posting of applications and related topics. Please keep these type of posts to the recruiting forum, and read the sticky post in that forum before posting. Splug received the bindings, which are part of the quest to create [Thunderfury, Blessed Blade of the Windseeker]. 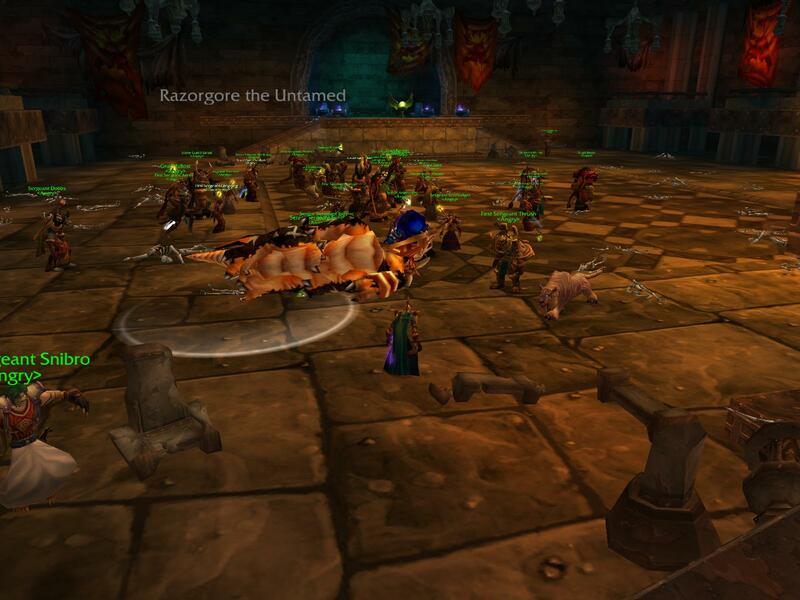 The Azuregos kill netted a [Drape of Benediction] for Rhilibren, and an [Unmelting Ice Girdle] for Gruk. Friday night, Angry tested out its first "solo" run of Molten Core (there were actually 4 members of Darkside present in addition to the 36 Angry members who were able to attend…close enough). The raid went quite well considering we had several people new to MC along with us, and we easily cleared through Golemagg. 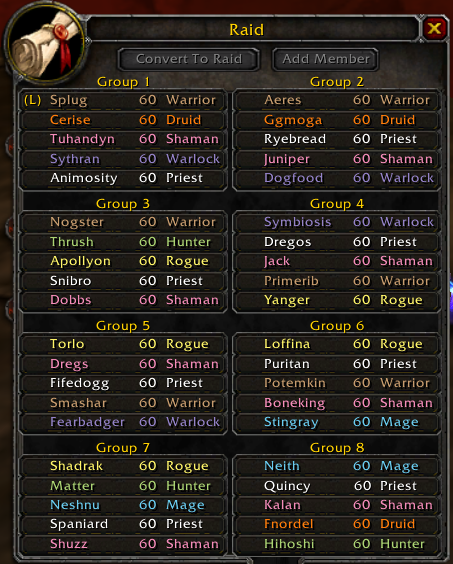 Unfortunately, Majordomo was out of reach as we do not have enough mages on our roster for that fight…yet. 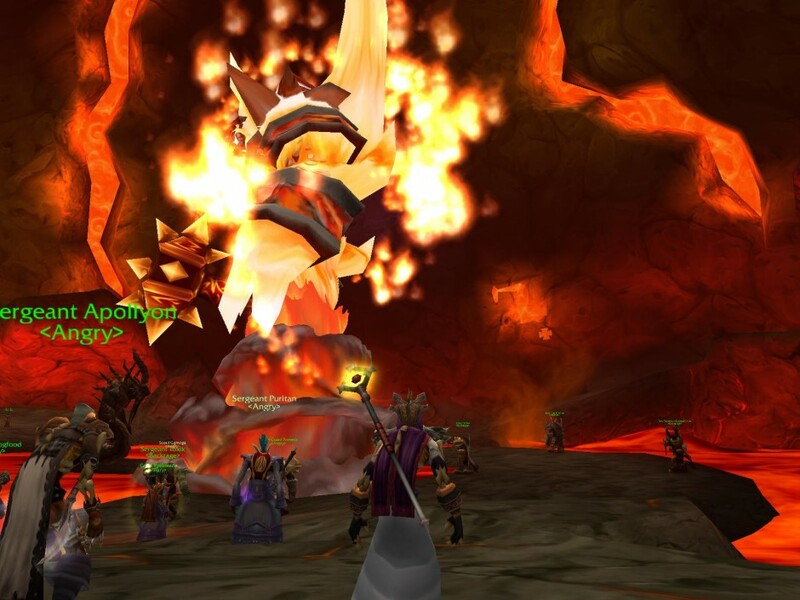 Majordomo fell to Angry and Backrage for the first time tonight, and we finally got our first look at Ragnaros. Apparently he has been made a lot tougher in the most recent patch. 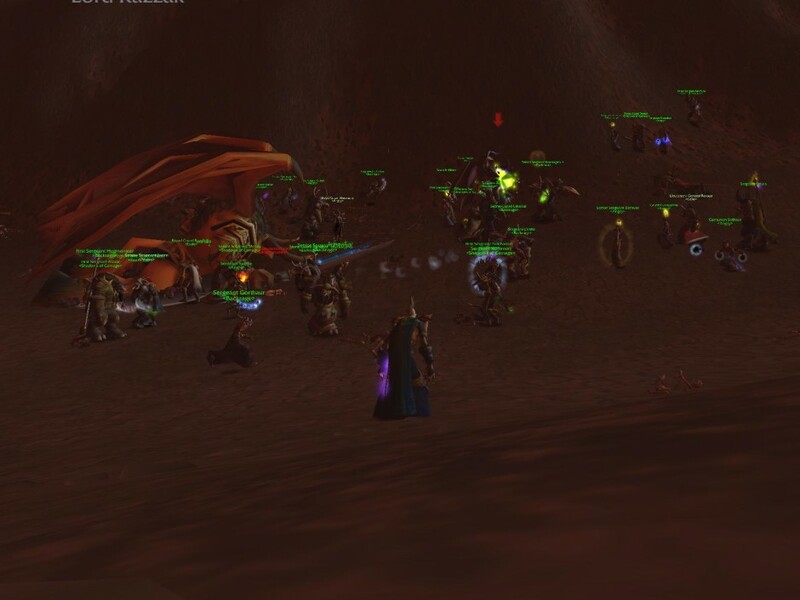 We made a couple probing attempts at him, and it seems it might take a bit longer to take him down than it's taken us to conquer the rest of Molten Core.